Some of these early pioneers described “seeing the elephant” as they encountered vast plains and barren deserts and crossing in a slow moving caravan of wagons and livestock. The term characterized the difficulty of the trip and going forward or turning back. What is the role of the federal government in explaining American history? That question may be open to debate but the Bureau of Land Management (BLM) has done a good job of providing a balanced interpretation of an important part of our history. 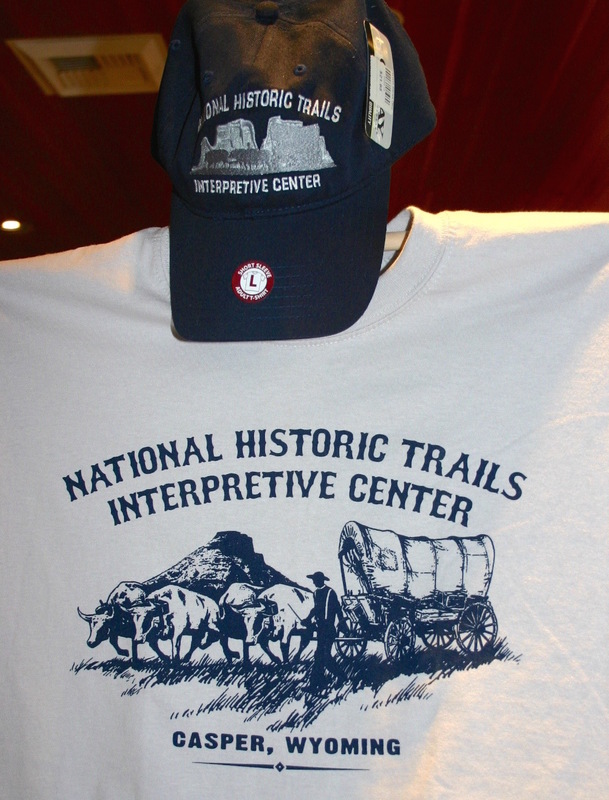 Located in Casper, Wyoming, the National Historic Trails Interpretive Center is now 13 years old. Most Americans are probably vaguely aware of the Western migration by hundreds of thousands of early settlers who walked and rode in covered wagons into the Western American frontier. While some of our Western movies dramatically portray segments of this history, the BLM Interpretive Center provides an overall explanation of the facts and social history in describing this largest unforced migration in history. The Interpretive Center is a joint effort. 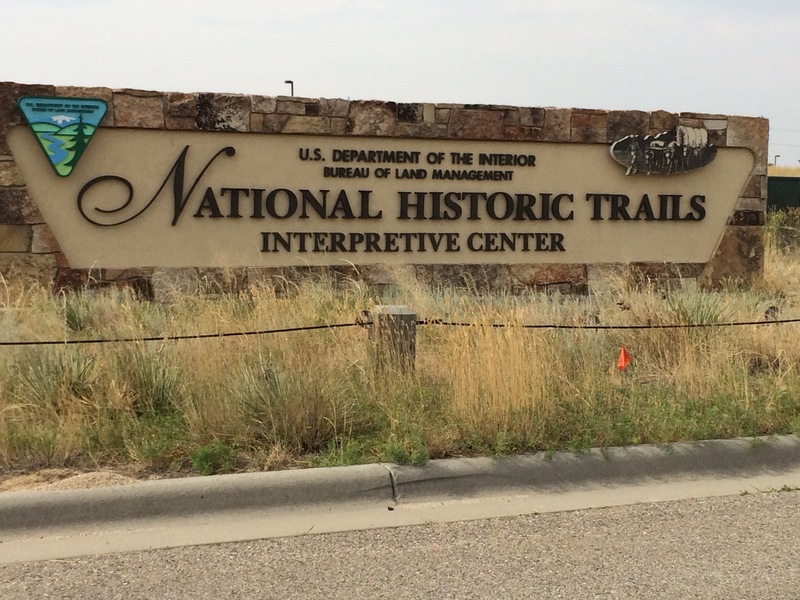 The city of Casper provided the land, the National Historic Trails Center Foundation put up half of the cost (about $5 million) and the federal government put up other half. We arrived at the Interpretive Center about 8:30 on a Sunday morning in Casper. It was open and staffed by two federal employees, Jason Vican and Kent Snethen. Despite working early on a Sunday morning, they greeted two wandering tourists warmly and explained the purpose of the center and the exhibits available to the public. They were knowledgeable and their enthusiasm was infectious as they explained the exhibits and generally what was depicted in the exhibits. Between 1840 and 1870, about 500,000 people moved across the Western Plains walking, on horseback and in covered wagons often pulled by oxen. Some were moved to undertake this arduous journey to obtain free farmland, some were seeking gold, others were in search of religious freedom and others wanted financial success. These pioneers were often traveling to the Oregon Territory, the Great Salt Lake Valley and the California gold fields. About 94% of those heading West made it. More than 20,000 died along the way although exact figures are unknown. The journey from Missouri to the West Coast could take six months. 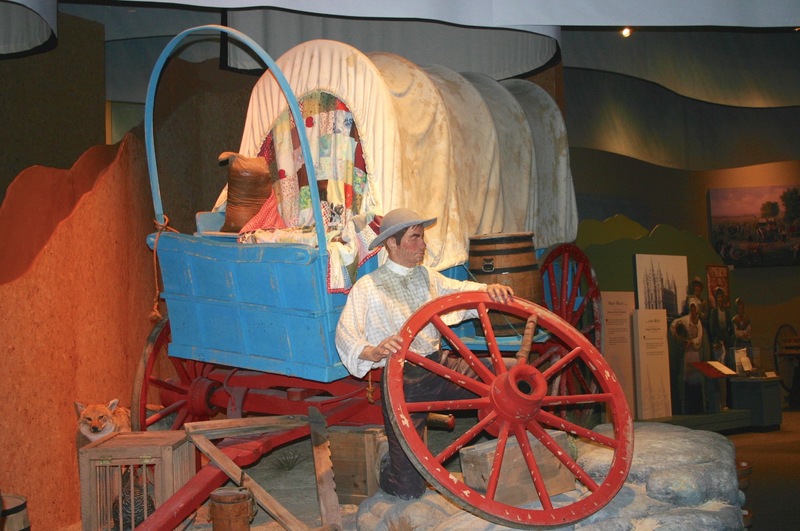 The interpretive center captures many of these challenges of these early American pioneers and the various trails they took to reach the Western United States. These trails such as the Oregon Trail, Mormon Pioneer Trail and the California Trail often followed ancient Indian footpaths. Federal employees such as Jason Vican and Kent Snethen take pleasure in explaining this important part of American history to those who take the time to visit this Bureau of Land Management facility in Casper.